Here we show the evolution of a Milky Way-like galaxy over time. The top row shows the galaxy as it would appear today, the middle 3.5 billion years ago, and the bottom almost 10 billion years ago. 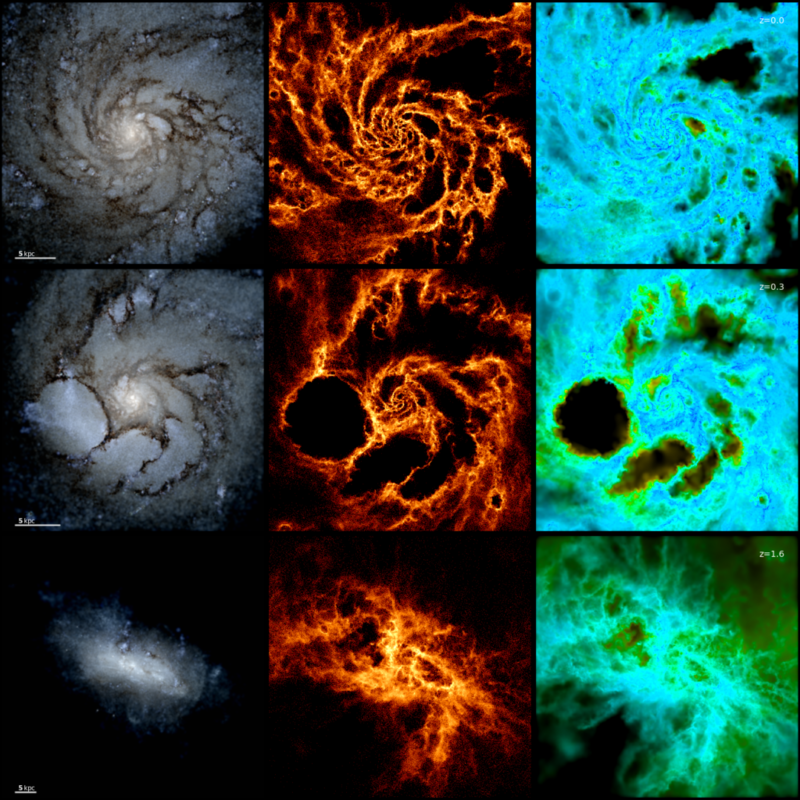 Columns give different views of the same snapshot in time, leftmost is the mock view through the Hubble Space Telescope, showcasing the starlight and dust lanes, middle is the projected gas density, and right is the gas temperature. The middle row shows a powerful cluster of supernovae blowing a hole in the galactic disk and driving a galactic wind.